The Duggar family had little choice but to make a photo of Jubilee Shalom official after they were tweeted by cousin Amy during the memorial. On Saturday the family released the photo of the tiny hand of Jubilee holding Michelle’s finger as the official photograph. Along with the photo, the Duggar’s uploaded the recording of Michelle’s letter to the baby. While the world is gawking at the loss of Michelle’s 20th child, the Duggars mourn the loss of the 21st. You see the Duggars consider all pregnancies a child and they lost one early in their marriage. They lost that baby very early and was what triggered them to discontinue use of birth control and allow God to decide their family size. The letter Michelle wrote was recorded for use at Jubilee’s memorial because the grieving mother knew she would never be able to read the letter without breaking down. No wonder! When you listen to the recording you can hear the woman’s heartache. You also hear her true love for her child, in fact for all her children. While she has gotten grief from the public for her family size and just about anything else she does, Michelle reiterates that there was no jealousy over the latest pregnancy and that her children were looking forward to another sibling. She goes on to say that the entire Duggar family was looking forward to and wanted the newest addition. She says that she has learned to value life more and to enjoy her time with the other children more. She also lists all the things she will miss because Jubilee never took a breath. It is truly uplifting and incredibly sad at the same time. Please click on thw site above for to hear the auido part to this article. (PEOPLE.com) — On Wednesday, an unseasonably warm winter day in Springdale, Arkansas, friends and family of Jim Bob and Michelle Duggar gathered to pay their respects to the couple’s 20th child, a stillborn baby girl named Jubilee Shalom. The reality stars of TLC’s “19 Kids and Counting” discovered on December 8 at a routine doctor’s appointment that their 20th child no longer had a heartbeat. Michelle, 45, miscarried the baby on December 11, the day after their youngest child, Josie Brooklyn, born at 25 weeks gestation and just over 1 pound, turned 2 years old. A letter Michelle recorded for Jubilee was played at the memorial. She wanted to “pour my heart out to Jubilee, and I knew there was no way I could read this at the service,” she explains. The Duggars also contacted the nonprofit organization Now I Lay Me Down To Sleep, which helps families deal with the miscarriage and loss of their babies, to take photos the family could keep and use at the memorial service. Some of those photos have been released without Jim Bob and Michelle’s consent, according to a spokesperson for the family, and were intended for private use only. The Duggars, devout Christians who have left the number of children they have “up to God,” say they will now quietly spend time together with their family. Physically, Michelle says she has been resting and feels well. See the full article at PEOPLE.com. The Duggars share a lot with viewers on TLC’s “19 Kids & Counting,” but this may just be one of the most unique things yet. The family, who lost their 20th child, baby Jubilee Shalom Duggar, in a miscarriage earlier this month, shared photos of the baby fetus in images that were shown at the memorial. The controversial photos were first posted on Twitter by a family member before quickly making their way around the Internet, according to TMZ. In them, a set of tiny feet are held between someone’s – presumably Michelle’s – thumb and index finger. “There is no foot too small that it cannot leave an imprint on this world,” one photo reads. Hundreds of family members and friends turned out for the service, held Wednesday in Springdale, Ark. Michelle, who knew she would be too emotional to express her thoughts and feelings in front of the overwhelming crowd, instead played a letter she had read and recorded, according to People. “I feel a great sorrow and grief, and yet at the same time I have a peace in my heart,” the 45-year-old mother said. “This is so sad, but I have peace. The Duggars first learned of the tragedy during a routine checkup Dec. 8 when their doctor couldn’t locate the tiny baby’s heartbeat. But the family is choosing to look on the bright side of the situation. “We have so much to be thankful for,” Michelle told People. “I know that in the days and weeks to come there will be other things that I will walk through, and grief that will come, and there will be times that we will worship and sing praises. On Thursday, December 7th, Michelle Duggar of “19 Kids and Counting” received the devastating news that their 20th child no longer had a heartbeat, during a routine checkup. In addition to this sad news was the medical complication that meant Michelle would have to miscarry naturally, because the drugs to constrict the uterus wouldn’t work with the scar from her emergency Cesarean. Michelle said that her family is taking care of her, including her daughter Jill who is studying to be a midwife. “The kids are mothering me now,” she says. “Jill just brought me some food and they are taking good care of me.” Best wishes Michelle. Michelle Duggar has miscarried her 20th child, People magazinereported on Thursday. “I feel like my heart broke telling my children,” said Michelle, who announced her pregnancy publicly last month on TODAY. Michelle and her husband, Jim Bob, were hoping to find out the gender of their unborn child on Thursday; but the doctor was unable to find a heartbeat, People reported. The baby had been due in April, so Michelle was six months pregnant. The Duggars told People magazine they plan to name the baby, once they find out if it was a boy or a girl, and then they’ll have a funeral service. “The Lord is the giver of life and he can choose when that life is ready to go on and be with Him,” Michelle Duggar said. The Duggars star on the TLC reality series “19 Kids and Counting,” which chronicled the difficulties of Michelle Duggar’s last pregnancy with Josie, now 2 years old. Michelle suffered from gall-bladder problems as well as preeclampsia. In order to save her life, doctors delivered daughter Josie three and a half months prematurely – she weighed only one pound, six ounces at birth, and endured a series of health emergencies, including a perforated bowel. Josie eventually went home with the rest of the Duggar family, and is now a healthy toddler who celebrated her second birthday in December. The Duggars also suffered a miscarriage with their second pregnancy. Originally, they planned to have only one to three children, and Michelle took oral birth control pills. But the miscarriage led them to believe they should eschew birth control. “At that point we read in Scripture that children are a blessing from the Lord and a gift from Him. We asked God to forgive us for taking matters in to our own hands and to give us a love for children like His love for them. 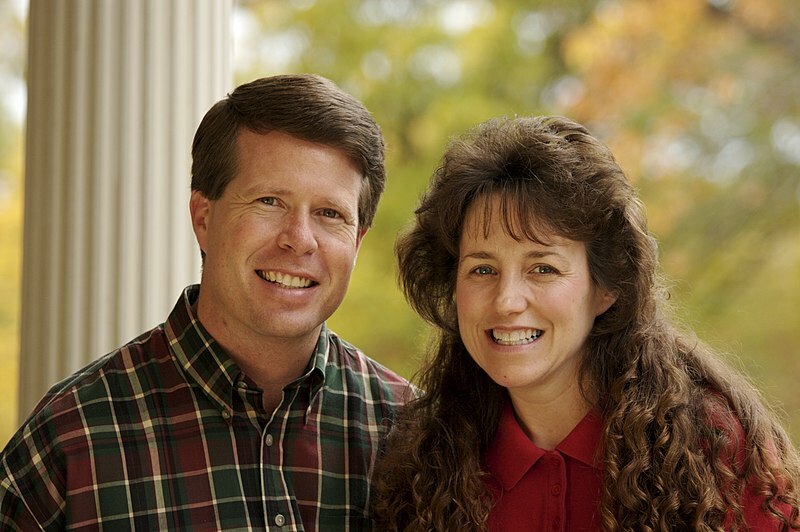 We committed to letting Him decide how many children we would have and when they would be born,” the Duggars wrote.